Elizabeth Burin is an independent artist working in Baltimore, Maryland. Her inspiration derives from her travels and above all from nature's infinite variety of forms and textures. 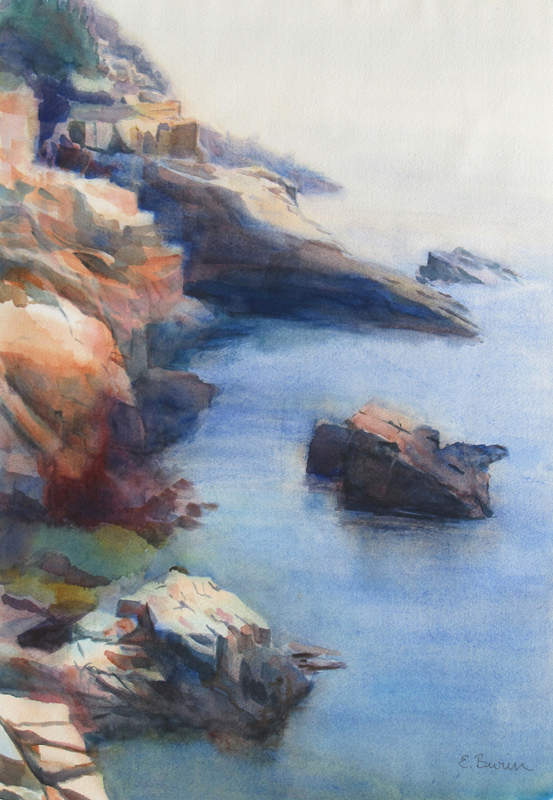 She is fascinated by the expressive power of color, and she particularly enjoys watercolor painting for its fluidity and luminosity. Elizabeth Burin was born in Washington, D.C. and grew up in western Switzerland. She holds a B.A. in Classics from the University of Cambridge and advanced degrees in Art History from the Universities of Paris-Sorbonne and Cambridge. After completing her doctorate, she worked for seven years at the Walters Art Gallery in Baltimore as a curator in the Department of Manuscripts and Rare Books. She is the author of various articles on illuminated manuscripts of the Middle Ages and Renaissance, and of a book, Manuscript Illumination in Lyons, 1473-1530 (Turnhout, Belgium: Brepols, 2001). She has also taught as an Adjunct Professor at Towson University and at Goucher College. It was in the new century that Elizabeth Burin turned to studio art. She became committed to painting while earning a Certificate of Fine Arts from the Maryland Institute College of Art. 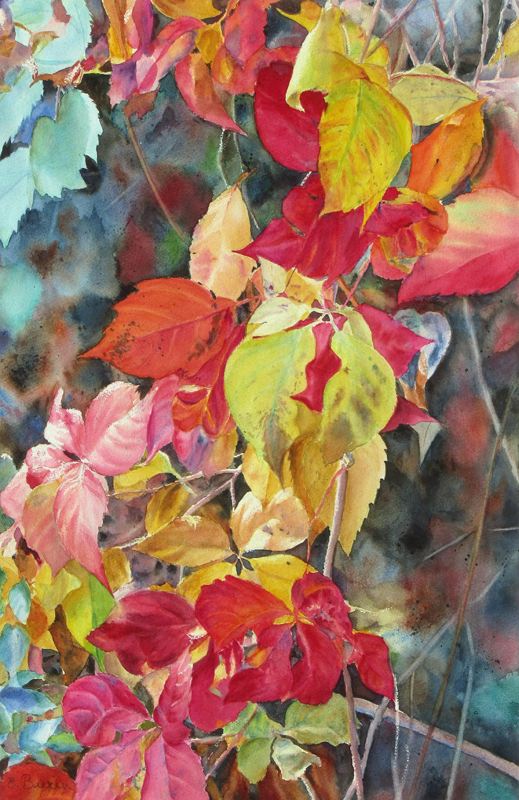 She is a Signature Artist Member of the Baltimore Watercolor Society and the winner of numerous awards and prizes. She lives with her husband in Baltimore and exhibits frequently in the mid-Atlantic area and online.